Two New Soundtracks Harness The Cinematic Power Of Prog/Space Rock Legends & Revivalists! Los Angeles, CA - Two very different indie films to be released later this year feature soundtracks that make unique use of prog and space rock music. First up is the thrilling action/adventure film set in the Middle East, 8 Assassins - The Beautiful, The Bad And The Ugly, which features one of the most unusual tracks in the entire oeuvre of UK prog-psych rockers Hawkwind, the haunting “Hassan-i Sabbah,” featuring Arabic singing and some brilliant violin work by Simon House. Also featured on the epic 2CD soundtrack are tracks by Hawkwind co-founder Nik Turner, a compelling live track from experimental German band Faust, prog revivalists Hedersleben, and a host of others! 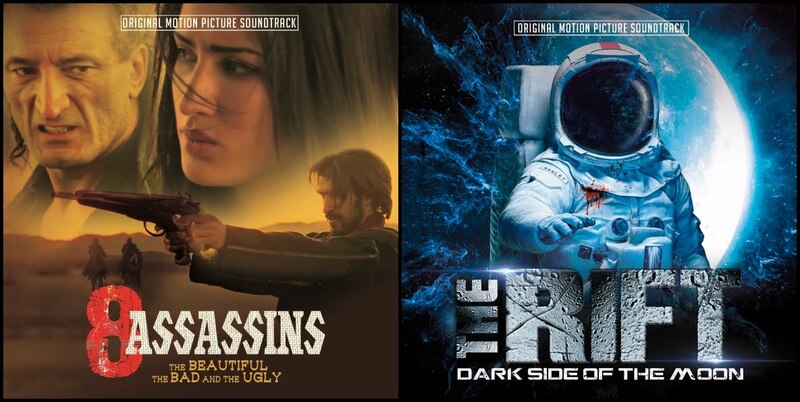 Meanwhile, a brand new sci-fi space horror film The Rift - Dark Side Of The Moon features loads of out-of-this-world psychedelic jams including compositions from the Pink Floyd album that inspired the film’s subtitle performed by the legendary John Wetton, XTC’s Colin Moulding as well as The Doors’ Robby Krieger. Also featured are Hungarian prog rock giants Omega as well as not one but two bands featuring avant garde percussionist Mani Neumeier of Guru Guru. So whether you like your prog rock with a little Mid-Eastern influence or prefer the spacier side, these two soundtracks will have plenty to offer! The soundtrack for 8 Assassins will be available August 18 and The Rift soundtrack will be available September 1.